If you are using GPS directions please use THIS LINK, or search for “Camp Segowea“. Camp WA WA Segowea is nestled in the southwest corner of Massachusetts in the beautiful Berkshire Mountains. We are located 2 miles from Southfield town and just over an hous’e drive from Albany or Poughkeepsie, New York. Take I-90 East to Lee, MA. Turn Left on Route US 20. Make quick right onto Mass 102 to Stockbridge. Turn left onto US 7 in Stockbridge to Great Barrington. After Price Chopper Plaza, turn left at light onto Rt. 23 East. Go four miles to Route 57. Turn right onto Rout 57. Go approximately 5 miles to New Marlborough, Turn right to Southfield, MA. At the first intersection, go left over the steel deck bridge. Proceed past the Southfield Store and make your first right at the stop sign. Go one mile to Foley Hill Road on your left. Camp WA WA Segowea is at the end of this road. Take Route 44 East to Canaan, CT. In Canaan turn left at the first traffic light onto Route 7 North. Proceed one mile passing the Snack Shack and a small farm stand on your right. Turn right directly after the farm stand following signs for Southfield, MA. Proceed 2.1 miles to the stop sign. Turn left and proceed 0.2 mile to a fork in the road. Bear right at that fork. Proceed 4.6 miles to Foley Hill Road on your right. Camp WA WA Segowea is at the end of this road. Take Route 44 West to Norfolk, CT. Take Route 272 North towards Southfield, MA. In Southfield, at stop sign, take left towards Canaan, CT. Foley Hill Road is on mile away on your left. 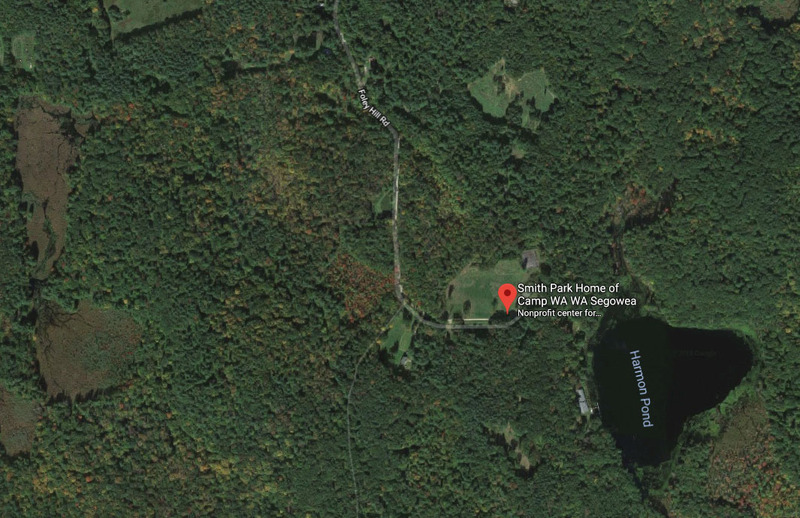 Camp WA WA Segowea is at the end of Foley Hill Road. Take Route 91 South until you come to Route 57 West. Take 57 towards Agawam, MA. Take Route 57 to New Marlboro, where you pick up Route 272 South to Canaan, CT (a left). At the first intersection, go left over the steel deck bridge. Proceed past the Southfield Store and make your first right at the stop sign. Go one mile to Foley Hill Road on your left. Camp WA WA Segowea is at the end of the road.